One of the largest universities of Pakistan, LUMS is a world class academic institution with a proud history of achievement and ambitious plans for the future. The idea of establishing this institution took root in the mind of Syed Babar Ali, Pro Chancellor, who is the guiding spirit behind the institution. With his resilient efforts and patronage of the business community, academia and representatives of the government, started the establishment of what was to become one of the leading universities of South Asia. With support of ten of the leading public and private sector corporations of Pakistan, the National Management Foundation (NMF), the sponsoring body of the University, was incorporated on November 7, 1984. The NMF was granted a charter by the Government of Pakistan for establishing the University on March 8, 1985. Through this charter, the University was given the legal right to establish degree-granting programs. In addition to this the government also granted authorisation to set up other schools under the aegis of the "Lahore University of Management Sciences". 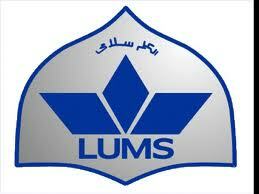 The Board of Governors of NMF, being the sponsors of LUMS, raise the necessary funds for the University’s operations and meet its infra-structure requirements. Consequently all land and university buildings are owned by NMF. Many members of the Board of Governors of NMF are representatives of the business community and form a crucial link between the University and the business world. The Board of Trustees, the policy-making body of the University, comprises leading members of the business community, academia and representatives of the government. The principal functions of the Board are to set broad policy guidelines and to review the operations of the University which functions on no profit no loss basis.